Here we show you in detail a complete price breakdown for a gulet cruise holiday, so you will know exactly what is included in the price. 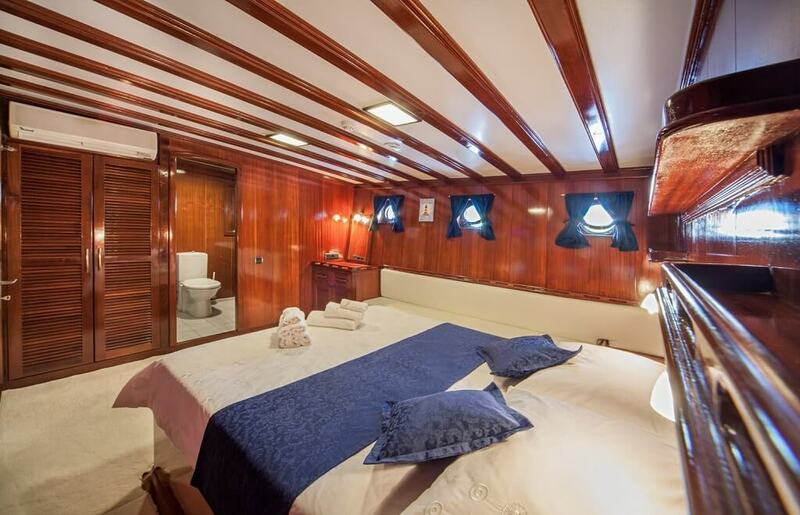 Onboard accommodation includes cabins with private bathroom, shower and air conditioning. Prices of cabins vary according to the quality of a gulet and the size of cabins. Gulets usually include Twin cabins with two beds or a bunk bed, cozy Double cabins with double bed, bigger Master cabins, and sometimes even more spacious VIP cabins. Gulet crew consists of a captain, chef, one or more deckhands and/or hostess. The captain takes you to new beautiful locations every single day and makes sure that your cruise is going as planned. Captain’s price depends on the size of his ship and his experience. The ship’s Chef will prepare amazing fresh dishes for you every day, tailored according to your own preferences. 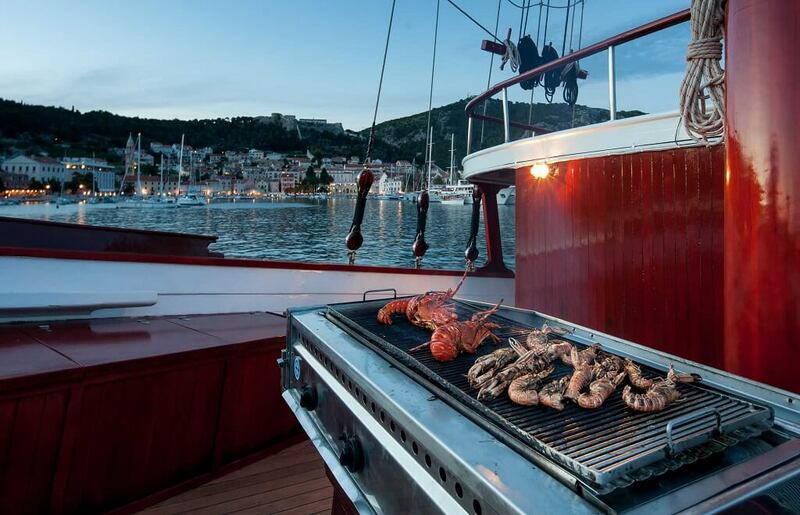 Price also depends on the quality of the ship and the experience of the chef. Hostess & Deckhand make sure that your cabins are clean, that you are served well and that you have everything that you need. Fuel for your cruise is included in the charter price. 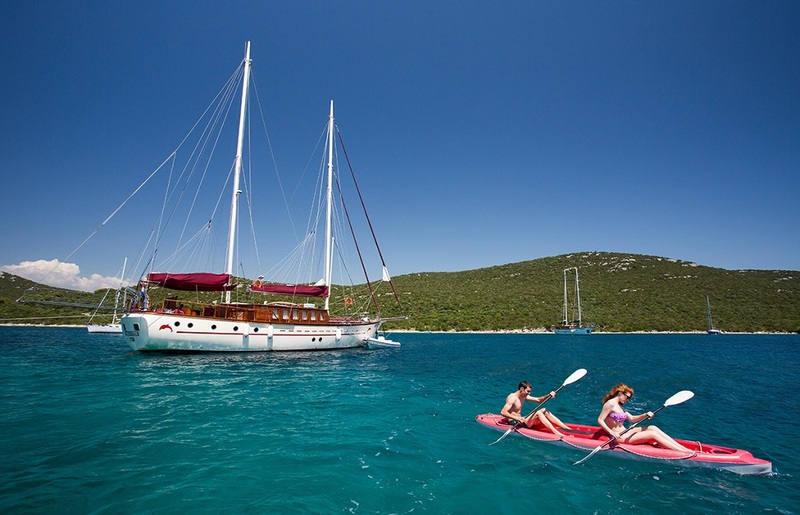 Price depends on the size of your gulet and itinerary that you have chosen. 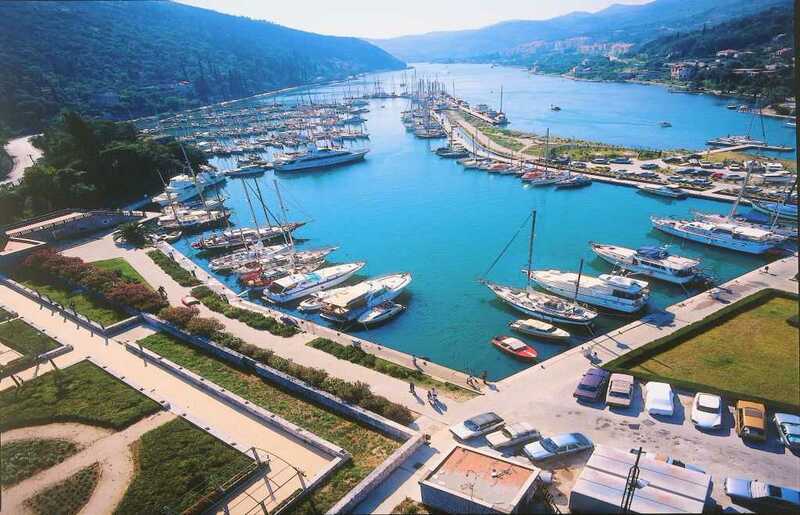 No extra payment is needed for the ports where you will go ashore. Harbor taxes are included in the charter price and depend on your itinerary. The exceptions are private marinas, they demand extra payment. Gulets are usually well equipped with a variety of gear for water sports like canoes, jet ski, water skis, snorkeling equipment etc. The amount and variety of equipment depend on the quality and size of the vessel. Fuel for water sports equipment such as water ski, jet ski or donut ride is charged per usage. Our clients get a free help from our travel planner, who makes sure that you book the appropriate gulet for your route and your desired activities. 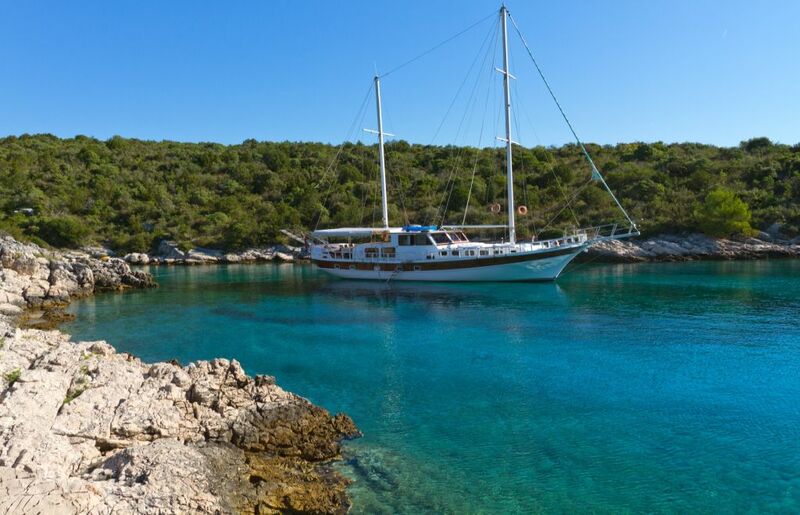 Our Goolets concierge will inspect the gulet before you arrive and make sure everything is in place. He will make sure that your transport from the airport to the gulet and back will be on time and that check in procedure goes as smooth, fast and comfortable as possible. He will be on standby for you 24/7 for any kind of extra inquiries or assistance you might need during your cruise. He will solve any problems you might have during your cruise and check how happy you were with your holiday at the end of the cruise. 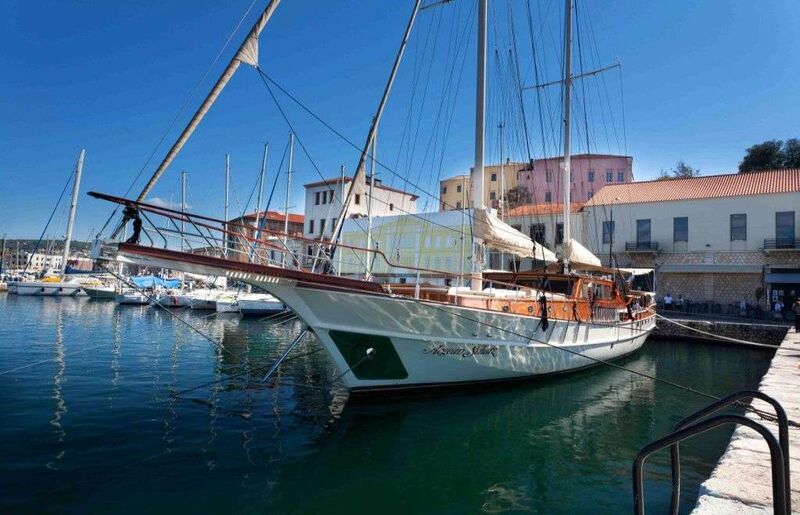 There are also some mandatory and nonmandatory expenses that are not included in the gulet charter price. Food costs depend on the option you choose for your cruise, whether Half Board (breakfast and lunch) or Full Board (breakfast, lunch, and dinner). Extra meals are also an option and they are charged extra. All onboard drinks are charged according to ship’s bar price list. Drink options usually include Soft Drinks All Inclusive (domestic nonalcoholic drinks – water, soda, juice) and All Inclusive (domestic nonalcoholic drinks and alcoholic drinks – water, soda, juice, wine, beer). Water is usually included in the charter price, sometimes also tea and coffee. In case you want to bring your own drinks onboard with you, you will have to pay a Corkage fee. Transport from the airport to the gulet and back is not included in the charter price. Harbor taxes are usually included in the charter price but mooring in a private marina demands an extra payment. Ships entrances to national parks are sometimes included in the charter price but sometimes are charged extra, it depends on your itinerary. Entrance fees for national parks vary according to the season of visit and gulet’s length. Some extra activities like biking, rafting, guided land tour etc. are paid extra.